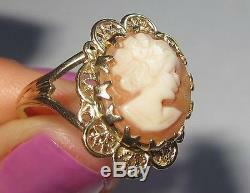 Here is an amazing estate 10k yellow gold shell cameo ring. 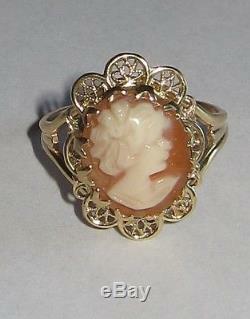 Intricate detailing both on the carved cameo as well as the gold mounting. 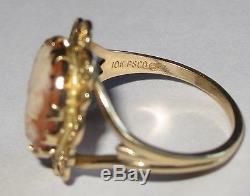 It is stamped 10k PSCO (Plainville Stock Comany) inside shank, as pictured. 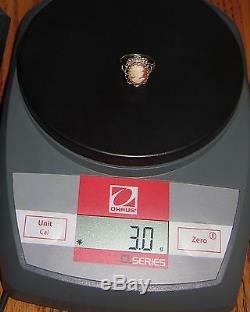 This ring has an approx. 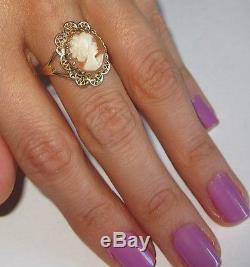 Ring finger size of 6.75. 6/8" tall by 1/2" wide across front. 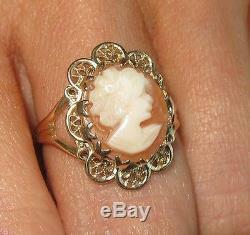 The cameo itself measures approx. 1/2" tall by 3/8" wide. The shank in back is approx 1.5mm wide. 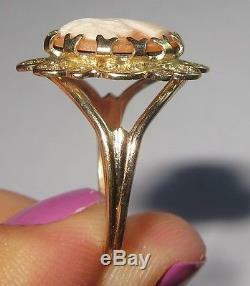 This ring is in pre-owned condition, but remains in excellent condition. 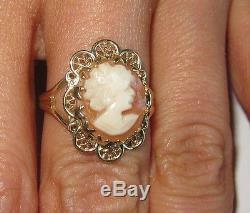 The carved cameo detail has no wear that I can see. 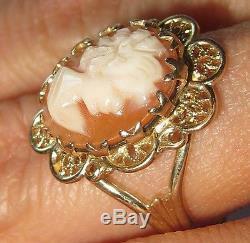 The item "Vtg Estate Antique Shell carved victorian CAMEO RING 10k Signed PSCO yellow gold" is in sale since Monday, December 16, 2013. 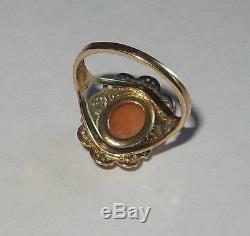 This item is in the category "Jewelry & Watches\Vintage & Antique Jewelry\Fine\Unknown Period\Cameos". 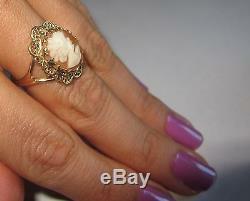 The seller is "thelongs1" and is located in Barrington, Illinois.